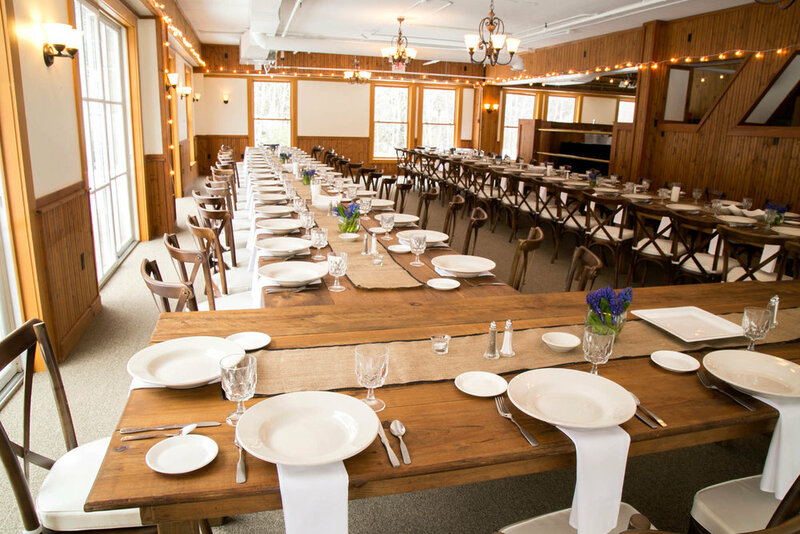 The Waterville Valley Resort Conference Center offers multiple rooms for conferences, meetings, events, reunions, proms, and weddings—located within the White Mountains of New Hampshire. With onsite catering and bar service available, groups can choose to have breakfast, lunch, or dinner provided to their guests, as well as a bar. Our Wedding Coordinator and Group Sales Coordinator can assist with any planning needs. Additionally, linens, AV equipment, tables, and chairs are all available for use. Nestled between 770,000 acres of White Mountain National Forest, Waterville Valley Resort provides the perfect setting for any occasion. Whether it be a long overdue family reunion or unique destination for a company outing, Waterville Valley Resort, with 360-degree mountain views, is the perfect destination for your next group getaway. The Waterville Valley Room is 4,735 square feet of meeting space, which can be divided into 2 sections for smaller sessions. 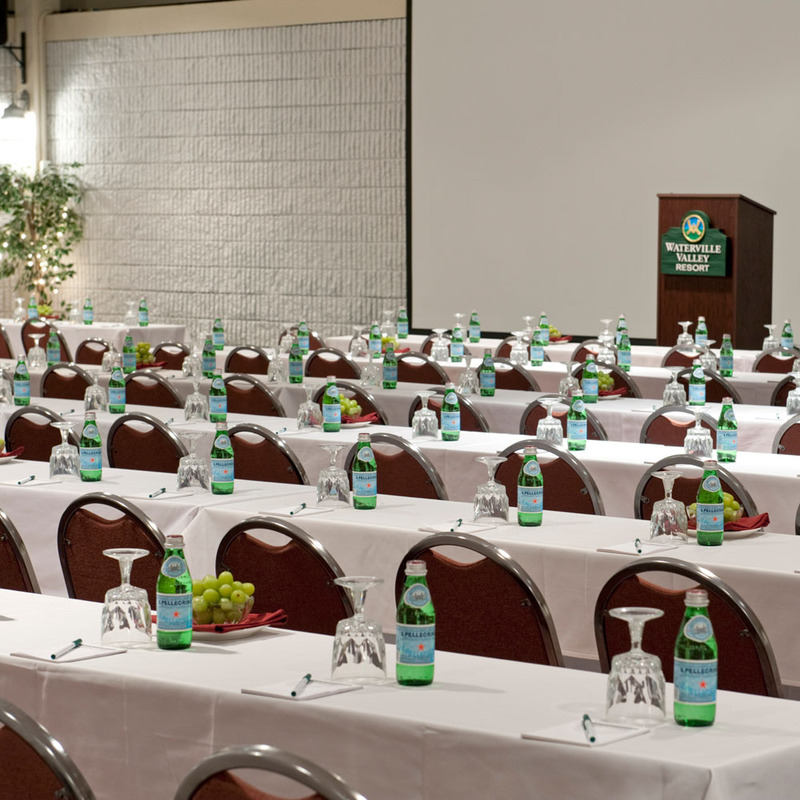 The Waterville Valley Room is our largest room, seating up to 410 people. The True Grit room located on the 3rd floor provides an intimate meeting area inspiring fresh ideas. The room is one of our smaller rooms that are fully equipped with A/V and perfect for a breakout room or small group meeting. The Speakeasy is a favorite for refreshing cocktail receptions. French doors leading to our expansive deck bring the spectacular mountain views indoors. Set on the banks of a babbling brook, the centrally located Brookside room is prefect for groups and functions. Bar and meeting room available. Our chefs offer excellent catering options from casual business luncheons to New England style lobster bakes. Using fresh, local ingredients wherever possible, our culinary offerings will inspire and satisfy the palate of everyone at your gathering.